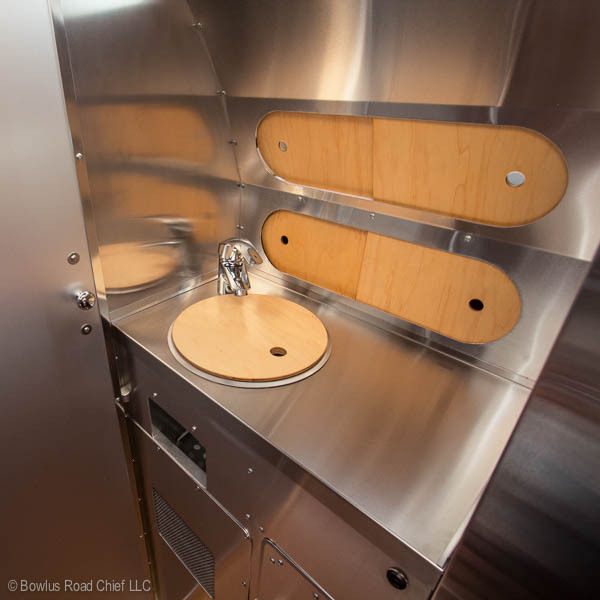 Have you ever head of the Bowlus Road Chief? It was created by Hawley Bowlus, a sailplane designer, in the early 1930s. The same sailplane designer that built the Spirit of St. Louis for Charles Lindbergh. 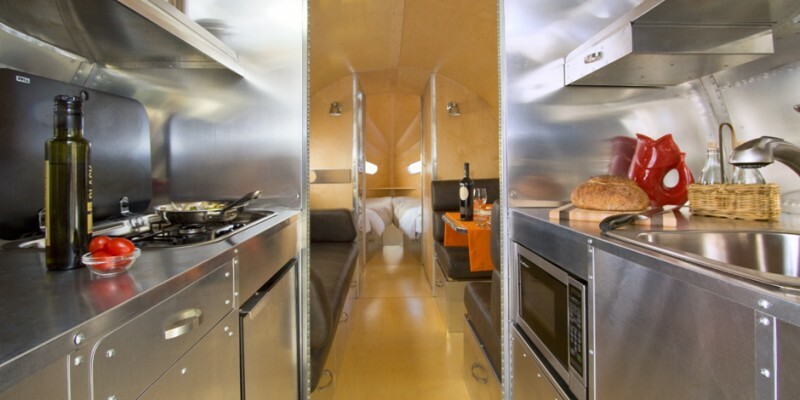 His passion for airplane design led to him developing the original riveted travel trailer. 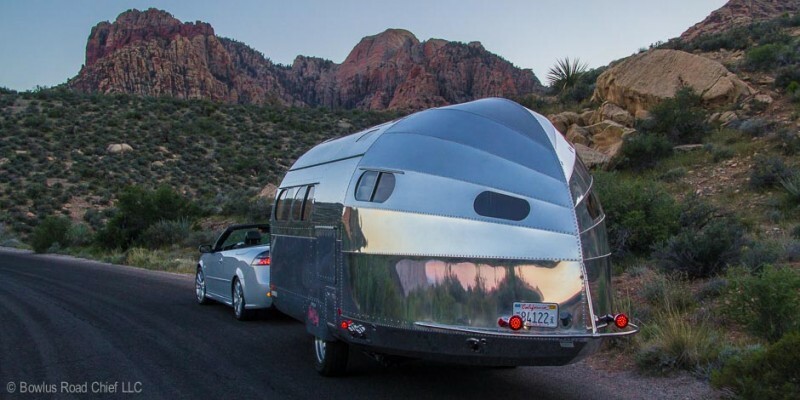 The concept for the Bowlus was so inspiring that it became the muse for other aluminum trailers includes the Streamline, Airstream, Avion, Spartan, and Silver Streak trailers. After many years of popularity, the Bowlus faded to relative obscurity. But today it is being brought to life once again by long-time car collector John Long. His redesign of this trailer has turned it into an aerodynamic and luxurious rig that is sure to please even the most discerning modern customer. 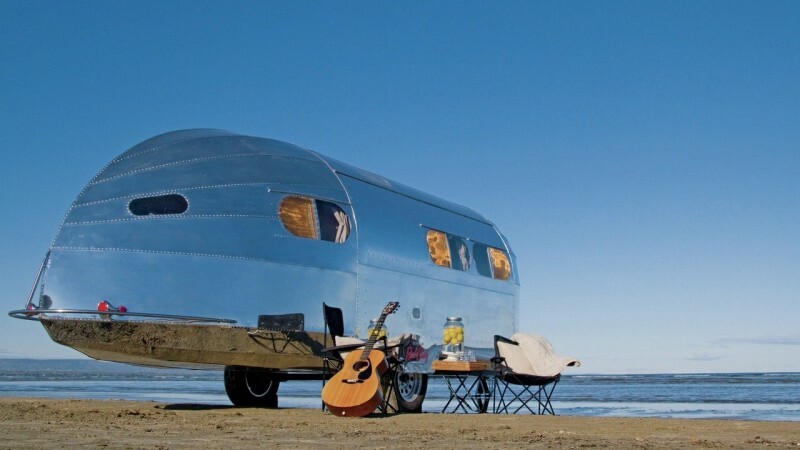 Long officially released the new Bowlus Road Chief in 2013. This newer model features the classic streamlined design, but with a few tweaks here and there. The new Bowles has been brought into the 21st century with a plethora of digital age amenities. He also added luxurious interior finishes to make road-tripping a lot more comfortable. In redesigning the Bowlus Road Chief Long hoped to inspire RVers to rethink their idea of luxury travel. His passion for this mission was ignited when he began restoring his own 1935 Bowlus Road Chief. During his ten year journey he became so engrossed that he wrote a book on the history of the Road Chief. Long has over two decades of experience in the technology and design fields. Combined with his passion for design, photography, and vintage automobiles, creating a new business centered around the Bowlus Road Chief was a natural step. Long picked his design team carefully to ensure his vision for the Bowlus Road Chief become a reality. Their mission was simple — integrate classic American design with advanced technology. Thus, the new Bowlus Road Chief offers several storage options for the modern traveler. 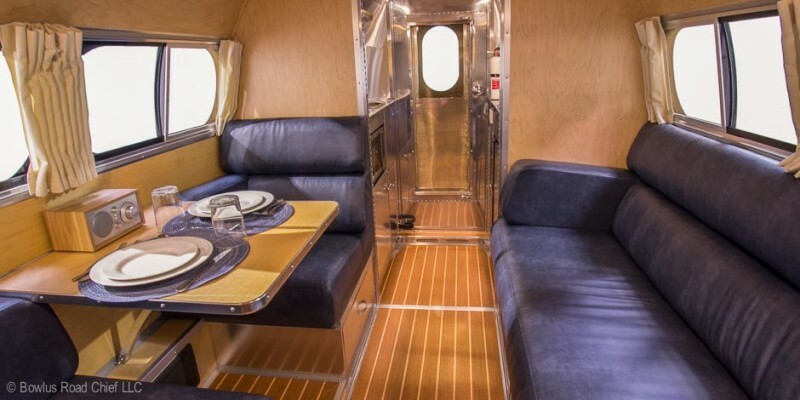 It also has all the luxuries of a modern RV such as solar panels, A/C, and plenty of space for relaxing. If you said that the latest version of the Bowlus Road Chief is a piece of rolling art and you would be right. But the truth is, there’s so much more to this rig. It is the perfect RV for a cross country adventure or a weekend getaway. The 2015 Bowles Road Chief starts at $110,000. Each Road Chief is hand built to order and comes with a variety of custom options. To reserve your one of a kind Bowles Road Chief today visit bowlesroadchief.com. What do you think of the new Bowlus Road Chief? Would you like one of your own? 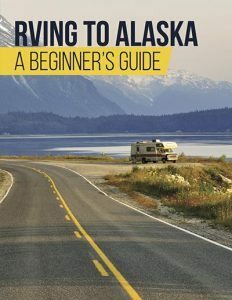 Leave your thoughts in the comments below and, as always, Happy RVing.